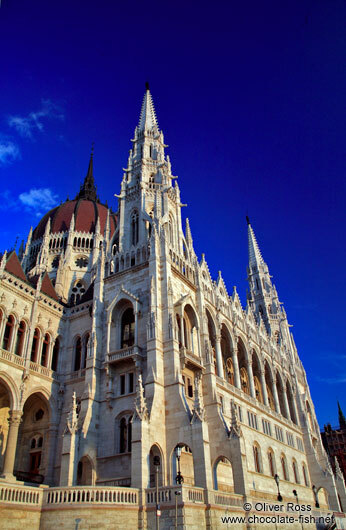 The Hungarian Parliament Building (Hungarian: Országház) is the seat of the National Assembly of Hungary, one of Europe's oldest legislative buildings. It lies on the banks of the Danube river and is currently the largest building in Hungary, and the second largest Parliament in Europe. Built in 1986 in the Gothic Revival style, it has a symmetrical façade and a central dome. In its entirety it measures 268m in length and 123m in width.